Steam Studios is an agency with a strong focus on interactive marketing and design. Not only do we create great websites, we help businesses with their entire online strategy. We do this with Brand Development, Email Solutions, Search Engine Management, and Advertising. Oh, and we can also handle your, Print, Illustration, and Copywriting needs as well. Steam Studios assures the highest level of professionalism, fairness, and creativity to help you achieve your goals. 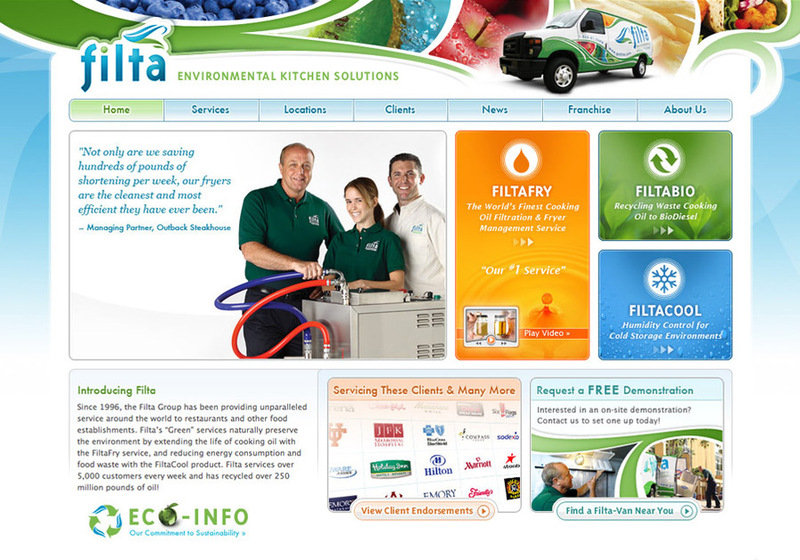 Homepage redesign of Filta.com | Including logo/brand, and all company materials.